We now ship nationwide our best selling pastries unbaked, frozen, and direct to you so you can bake them fresh in your own oven! Monday-Thursday: 6:30 a.m. - 8:30 p.m. Friday & Saturday: 6:30 a.m. - 9:00 p.m. Sunday: 7:00 a.m. - 8:00 p.m.
Do you have a question about Porto's? We have the answer. Click below to see our frequently asked quesions. The Porto’s classics. You don’t want to miss out on these signature family recipes. Porto’s Gift Card is the perfect gift for the Holidays! Available at all locations! Planning an event? Whether it’s an office meeting, party or special occasion, Porto’s has you covered! Porto's bakers work each day and night, hand-shaping and scoring fresh dough to bring you the most delicious and freshly baked artisan bread possible. Porto’s Bakery was born out of Rosa’s love for sharing her wonderful cakes and pastries with friends and family. Today the Porto family is still committed to using the finest ingredients from all over the world ensuring that quality remains the cornerstone of the Porto tradition. Rosa Porto is now retired, but her recipes and her high standard remain, including her motto “quality is the number one ingredient in everything we do”. Come visit our bakery and you will experience home baking at its best. We would love to hear from you! Please tell us about your experience by clicking here. 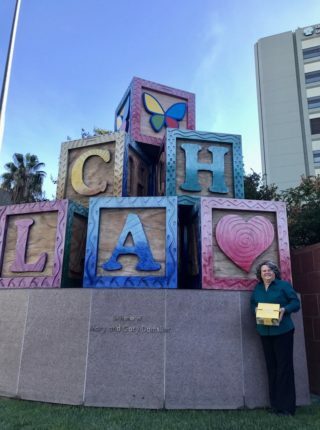 From Giving Tuesday to Make March Matter, Porto’s is committed to supporting CHLA’s mission of creating hope and building healthier futures. 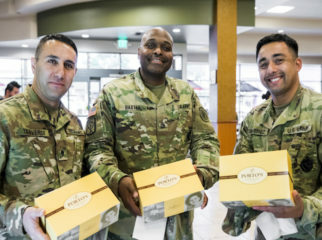 At Porto’s we recognize how invaluable our veterans are to our country and celebrate them each year. Infuse your talents and passion with our expertly developed baking, culinary and business fundamentals. Create your personal recipe for success at Porto’s Bakery.